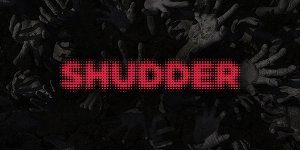 Shudder TV is a new all-horror streaming channel which just launched a few months back. Originally a subscription channel, Shudder offers rare and obscure horror flicks from throughout the ages, with a particular focus on new releases and 1980s' classics. The subscription rate is $4.99/month - about half that of more inclusive streaming subscription services like Hulu+ and Netflix. However, Shudder TV has also just launched their livestream, and it is available for free just by tuning-in or surfing to their site. On Roku, simply install the channel and the livestream loads on launch. Again, the livestream is free, but full access to the channel can only be obtained through a subscription. Shudder TV's livestream is actually pretty great, with the exception of the fact that their playlists run at least all week, if not longer (I only installed it about that long ago). So far, it has played no horror classics I recall seeing, though I've found no schedule, but it hasn't been short on great, recent, horror films. However many - some of the better ones, generally speaking - are subtitled, foreign-language films. They're very good, though, and there are plenty of English movies, too. Overall, it is definitely one of the better streaming stations on Roku and certainly one of the best horror-based streaming channels I have found.